Today I'm seeing the garden through pink-coloured glasses. 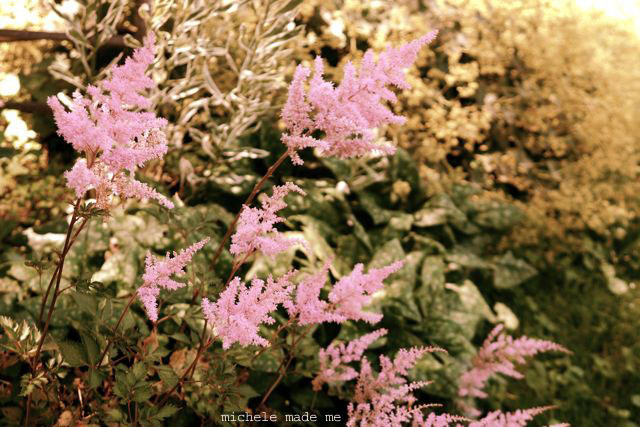 Above, there is the sweet astilbe. And below, the spikey yet compact speedwell known as "Giles Van Hees". 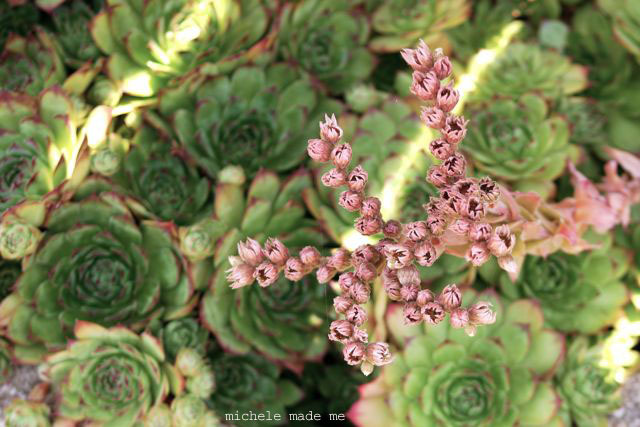 No garden is complete without some form of hens and chicks, in my opinion, plus it possesses a most intriguing pale pink flower. 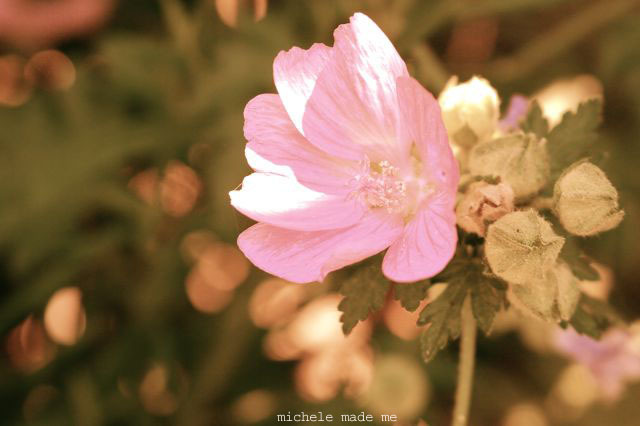 And then we have the self-seeding mallow. This one grows without any help or encouragement - perfect the lazy gardener. For example, me. 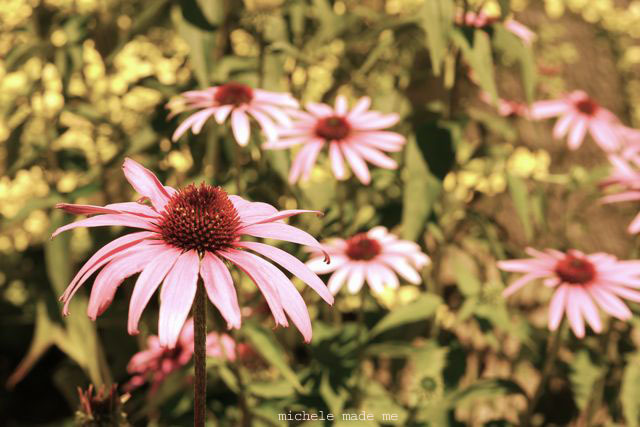 And finally my beloved purple coneflower who attracts birds, bees, and butterflies alike, and needs zero attention. I don't consider myself to be a girlie-girl but I certainly don't mind seeing these beauties in the garden. Nope, bring on the pink, I say. Very pretty...I lean toward pink and purple as well. HOWEVER I will take any color lily I can find!! 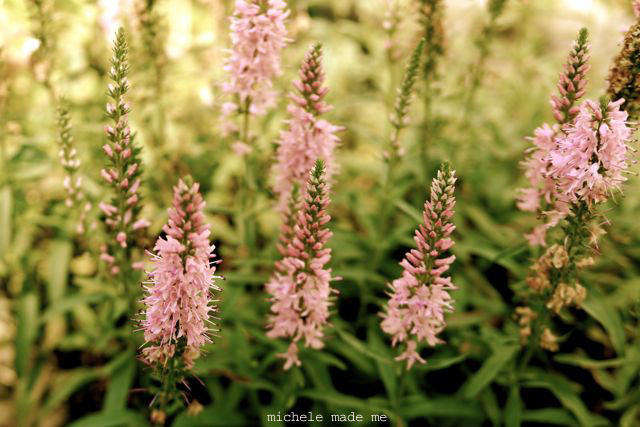 Im not overly fond of pinks either but these delicate blooms and shades are beautiful!